It’s a digital age, and that means digital marketing should be something you focus on heavily as the owner or employee of a B2B business. 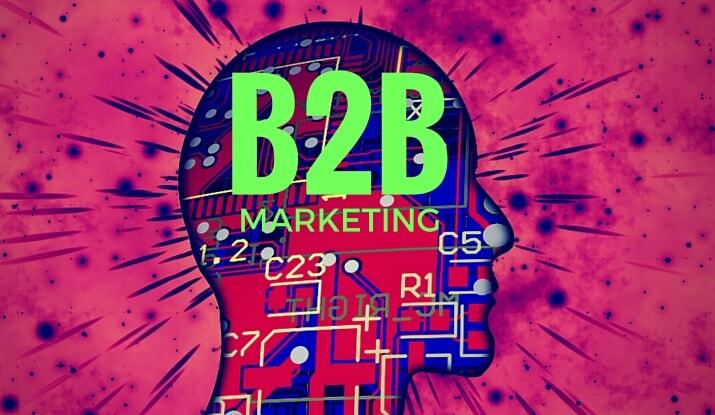 What makes a business B2B exactly? When you offer services to other businesses, like content writing or credit card processing, you fall into this category – aptly summarized as Business 2 Business, or B2B. Let’s now talk about B2B Marketing. Despite owning a business that will very likely be necessary for other businesses to survive, you still have to market your wares, if not to show them off but to make sure that you’ve got the edge on your competition. The year isn’t half over yet, so there’s still time to get a lot of B2B marketing done – and we’ve got the tips to help you get there. We won’t insult you and assume you don’t have a website – that’s just crazy talk. Everyone knows that in 2016, if you have a business? You have a business site. No, the advice is to put more steam into your website. If you have the power to make a really innovative and great website if you take your time and focus on it, go ahead and do so! Think of your website as your digital kingdom. Through it you showcase your brand, your personality, your services and your wares. This effectively makes your business site your first-impression with your consumer, and that’s something worth investing in. 2. Focus on content, too. You can easily explain what you do in your site copy. Are you someone who pressure cleans restaurants? It’s really easy to write 200 or so words for a website about how useful you are for local restaurants, but this isn’t all it takes to get notice. When you focus on blogging content that appeals to your consumer and you use infographics and other dynamic forms of content marketing to share this valuable information with them, you’re more likely to see potential customers actually follow up with you on business possibilities. 3. Put this content to good use. Through your SEO efforts, it’s possible to make your content extremely valuable to your search engines standings. This isn’t all you need to make it high on Google’s search radar. One study shows that of the eight factors tied to SEO success, seven of them fall in line with social media. The takeaway? Posting your content to social media can see your business boom. 4. Don’t ignore influencers and competitors. While it’s good advice to focus on your audience as a small business, don’t forget you also need to be paying close attention to those you consider company rivals. Scope out the competition’s social media. What are they doing that you aren’t, and is it making them more successful than you? If you’re a business that can be marketing to a global audience, do so. When you share highly valuable content that can appeal to a wide audience pool, you increase your chances for online visibility. Have strategies that focus more on your specific audience, but a few ploys for going bigger won’t necessarily make you go home. You don’t have to pay a lot of money for ads online anymore. When you put up a paid advertisement offer on AdWords, you greatly increase your brand visibility. Cheap paid for ad aggregates will be your best bet in your fledgling stage of business. As you get bigger, you can start making deals with the big dogs. Content recycling isn’t cheap or gimmicky – it’s smart. The trick is repackaging content in a way that keeps the original purpose alive, but that doesn’t give off a vibe that you’re being a cheapskate. When you come up with an idea or a piece of copy, don’t be afraid to translate it into different formats. Make it a slideshare, a blog post and an infographic all in one. 8. Don’t make finding you difficult. The more obvious you are with your methods of engagement, the more followers and loyal customers you’ll get. For instance, including social buttons everywhere you will increase the likelihood that someone follows and/or engages with you through social venues. If you’re hard to get in touch with, people simply won’t do it. When you’re available through simple means and show that you’re communicative, people will engage with you – it’s as simple as that. 9. Don’t neglect social selling. Social selling strategies are great for small B2B businesses, but they do come with a warning label. When you tweet out direct links to your services and products, you’re running the risk of looking like you’re begging for someone to notice and buy from you. Consumers are people who enjoy subtlety. They like to think they made the decision to buy your product, not that it was shoved down their throats. 10. Get personal – and fast. The consumer in 2016 isn’t interested in buying from a business – they’re interested in interacting with a business. The more personal the connection you build with your audience, the more loyal they become. This means having one on one marketing strategies place to make connectivity that much more intimate.